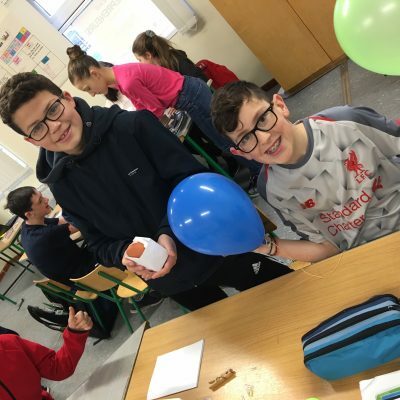 Home » Classes » Class Pages » An eggcellent eggsperience! 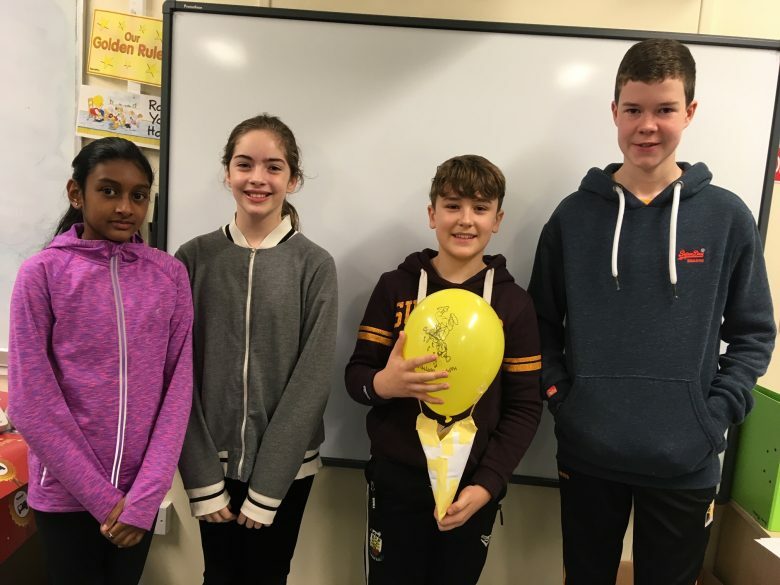 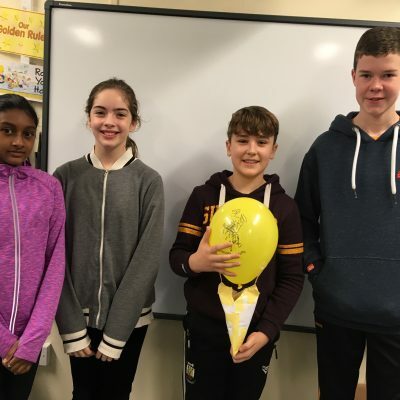 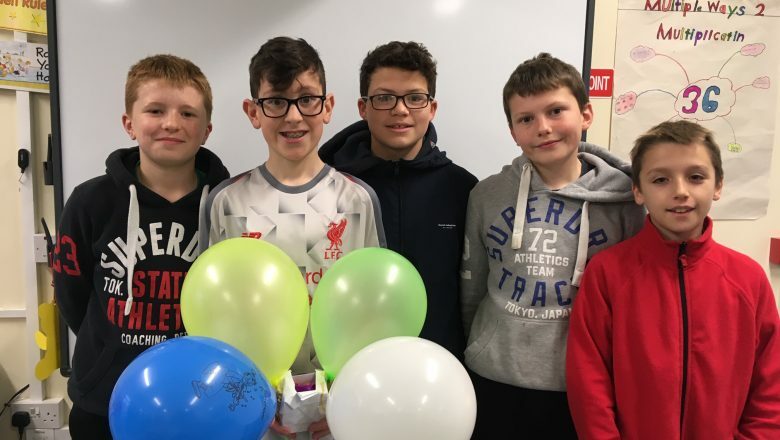 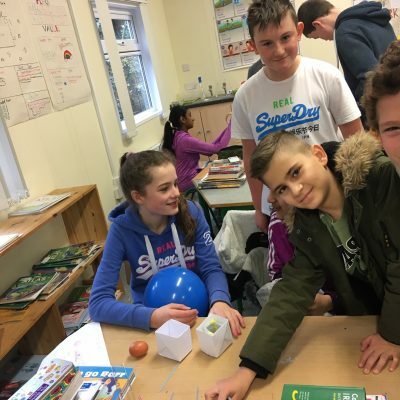 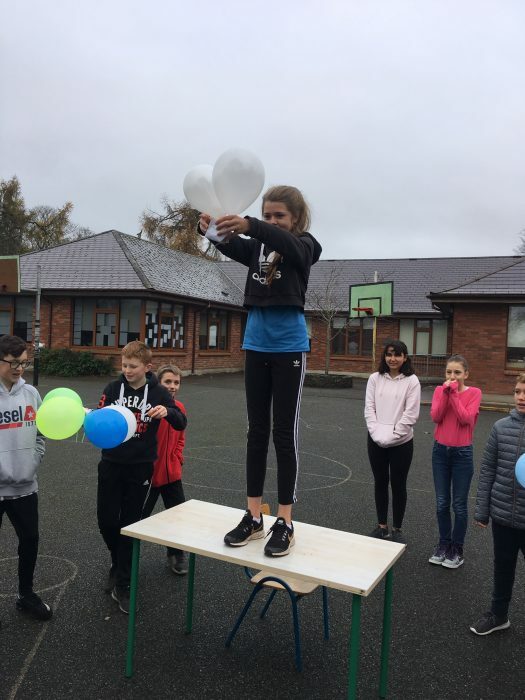 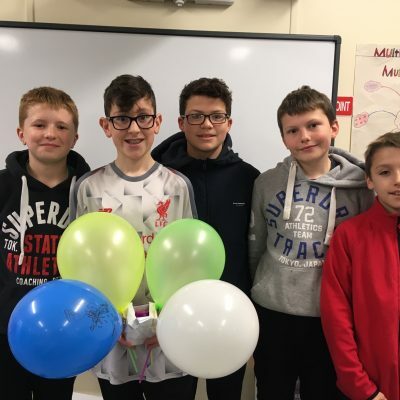 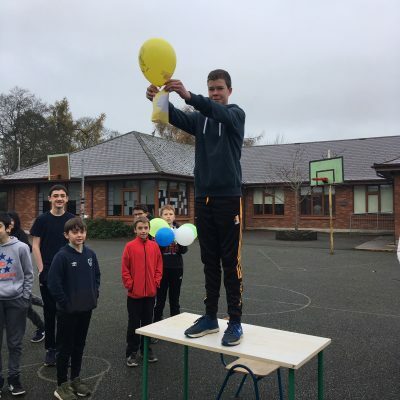 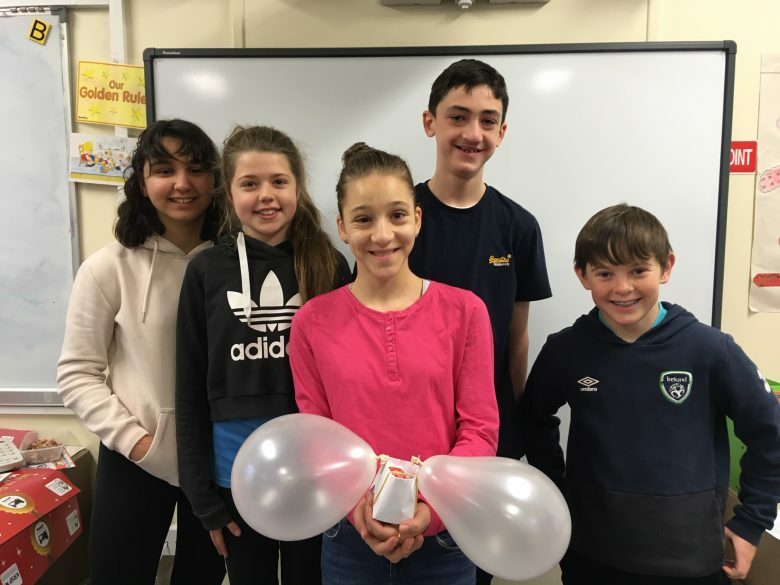 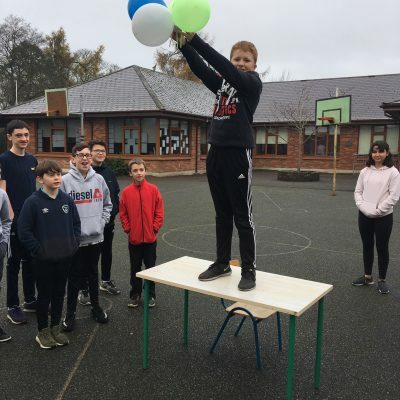 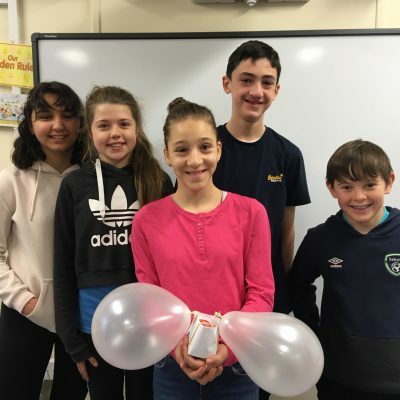 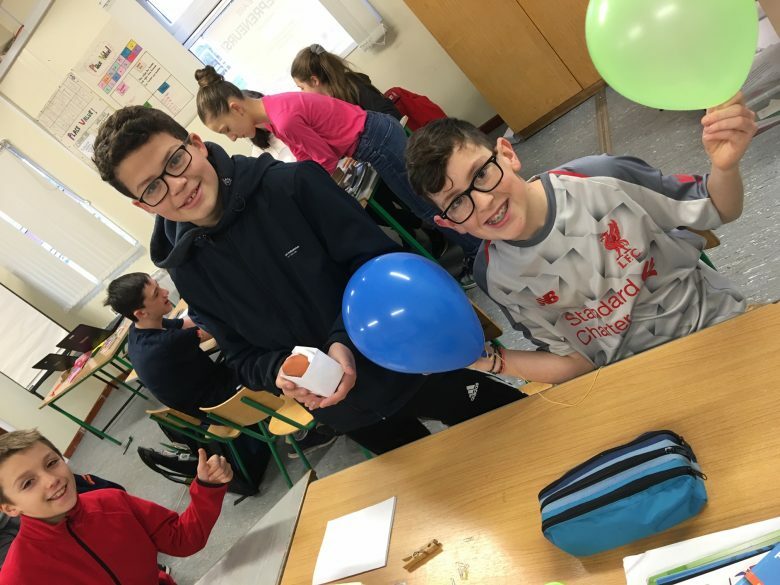 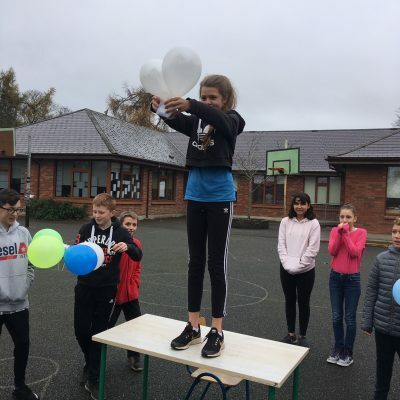 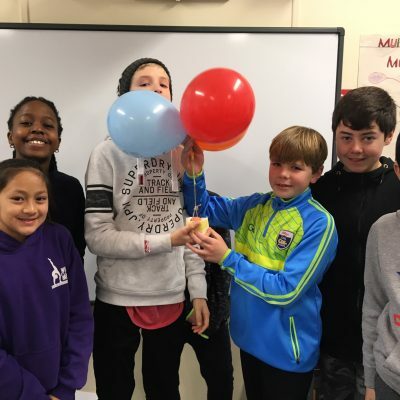 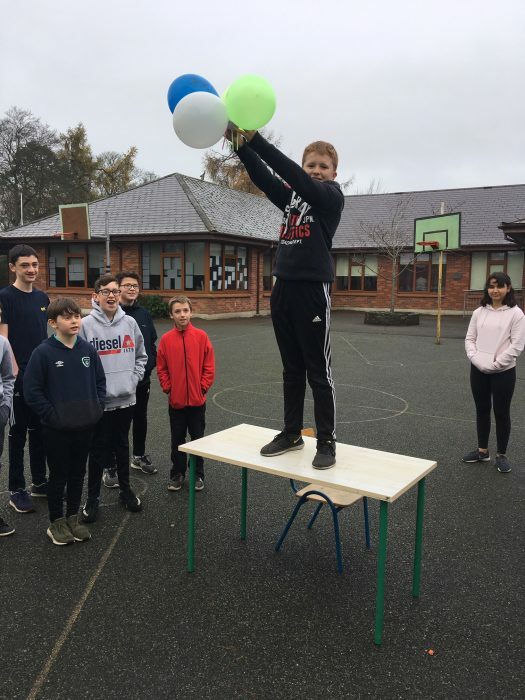 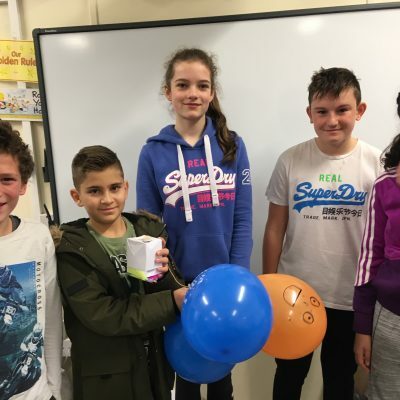 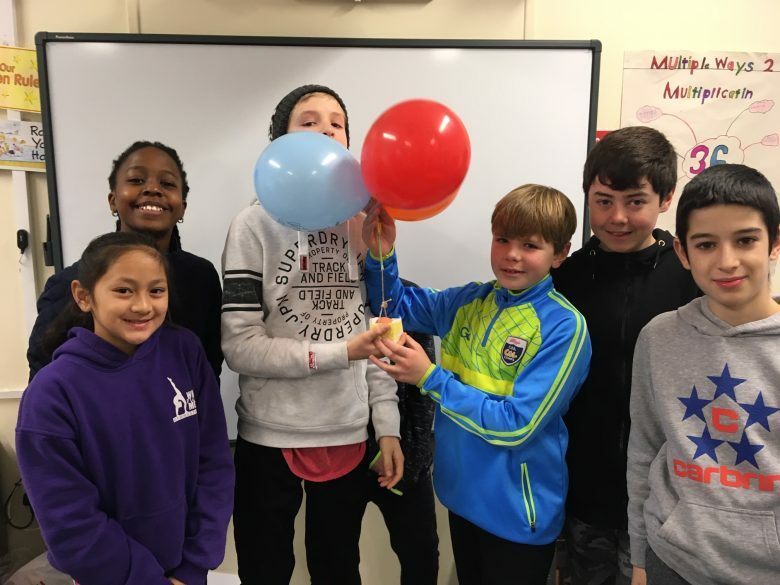 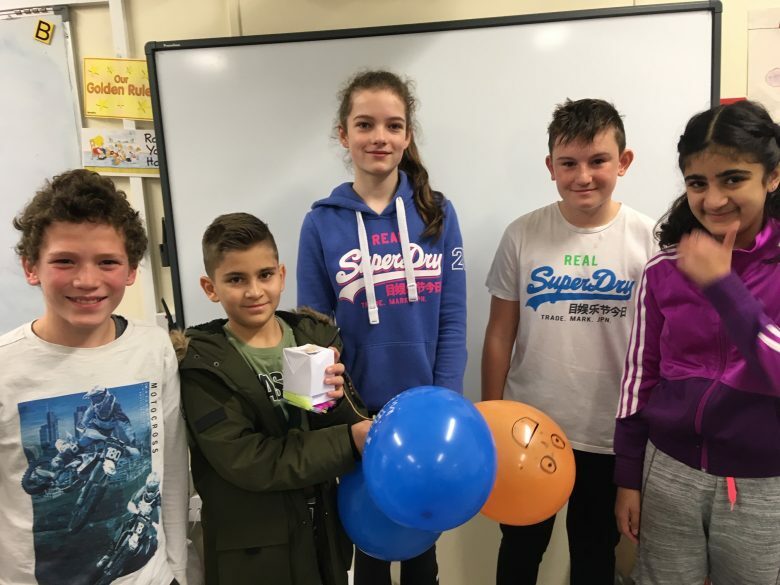 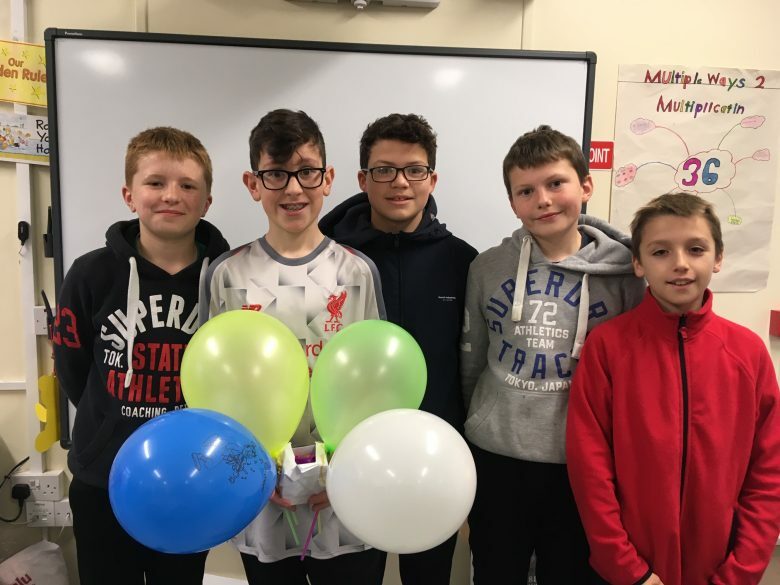 As part of the Junior Entrepreneur Programme, 6th class did a team building exercise where they had to create a craft in 15 minutes that would prevent an egg from cracking when dropped from 8 feet. 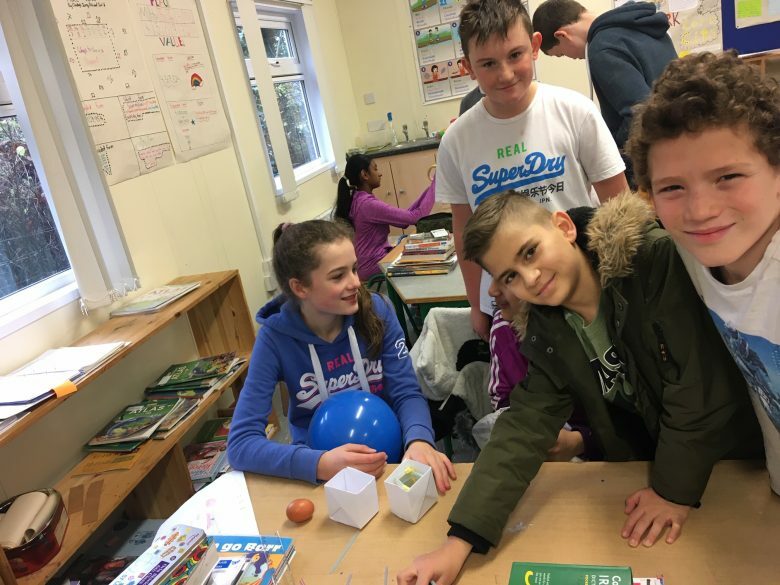 After lots of fun, unfortunately only 2 out of the 5 eggs survived! 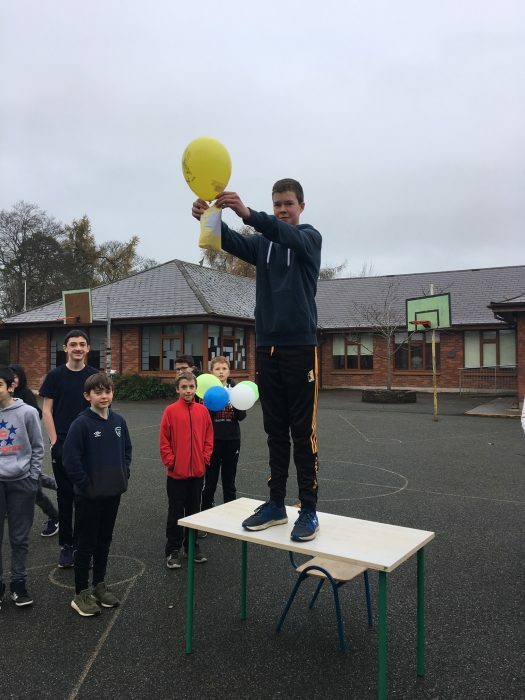 An eggcellent eggsperience!